You ready for sad? You ready for tearjerker? Yes, I am going to kill Shahrukh off! And then bring him back as an Angel, A Guy Named Joe style, to make his family happy again. In order for this to really resonate, we need to be super super sad when Shahrukh dies. So let’s give him an all out hero’s death! After first falling in love with him and his life. Shahrukh is a nice middleclass husband and father and son. We open in the madness of a busy morning, Rani and Shahrukh are working together like a well-oiled machine, Shahrukh makes parathas, Rani serves them and reminds Farida she has to take her pill, and tells the small son to take his schoolbag off the table before he spills on it, and tells teenage daughter she has to be sure to be home on time tonight for family dinner. And then Shahrukh comes out to wish them good-bye with what is clearly a family ritual, telling daughter that she is smart and beautiful, and son that he is smart and handsome, and then telling Rani “you aren’t very smart, but you are very beautiful” and her telling him “you aren’t very smart, but you are very handsome”. Shahrukh finally takes a quick blessing from Farida and goes out. As he is walking down to his car, his phone rings, and he picks up without looking at it saying “What did I forget” and Rani says “you need to pick up curd on the way home for dinner, and you forgot to kiss me good-bye”. Shahrukh laughs and is all “I’ll have to kiss you twice tomorrow!” and gets in his car. He drives through traffic, parks at his office, nothing remarkable. He’s not very remarkable at his office either, it’s a call center, he’s the boss and wishes everyone good morning, but they clearly like him more than they respect him. His admin assistant gives him coffee and a warning that the client is on the line and is unhappy, he picks up the phone and is super apologetic and “yes ma’am-no ma’am” while making faces at his Admin to make her laugh. And then hangs up and sighs “well, I think I saved that contract, we can stay in business another month”. And then his personal cell phone rings, it’s Rani again, he picks up right away. She’s at the doctor’s office with Farida, the doctor wants to put Farida on insulin and she is upset, can Shahrukh talk to her? Shahrukh has Rani put the phone on speaker and asks the doctor questions and then says to Farida in a loving way “don’t be silly Ma! If the doctor says it is right, then it is what you should do! We’ll talk about it when I get home”, and Farida is all happy. Rani picks up the phone again, says “thank you sweetheart, you’re an angel”, Shahrukh says back “your angel!” and smiles and hangs up. Later in the day, while he is having a sandwich at his desk and scrolling through spreadsheets and sighing, the phone rings again, it’s Small Son. He is all formal at first “this cell phone is supposed to be for emergencies, why are you calling?”, but Small Son sounds really upset. So Shahrukh settles in and asks “what’s wrong?” Small Son explains, “Papa, my friend says he isn’t ‘best friends’ with me any more because we don’t live in a house. He says only poor children live in apartments”. Shahrukh immediately gives a perfect answer, “We have a lot more money than many of the children you see, remember Anjali who sells matches at the end of our street? But we also have a lot more love, and that is what makes you rich or poor. It sounds like your friend is very poor indeed if he thinks friendship depends on where you live. You should pity him, we will say an extra prayer for him tonight that his heart gets larger.” Small Son feels all better, they end the phone call with the family routine of “you are handsome and smart and I love you”. Finally, as he is walking down to his car, Shahrukh gets the last phone call from his daughter. She is crying and asks “Papa, can you give me a ride home? I’m at Simran’s house and I am ready to leave”. Shahrukh, of course, says “yes, I’ll be right there”. At Simran’s house, Daughter comes running out and jumps in the car looking upset. Shahrukh doesn’t say anything at first, just lets her get in and waits, and then she suddenly bursts out with “Boys are stupid, right?” And Shahrukh agrees, “yeah yeah, boys are very stupid”. She doesn’t say anything else, so he adds “is there some particular way a boy was stupid today?” Daughter sighs, and then starts explaining a long thing, about a boy who Simran likes but who likes Daughter better, and Daughter doesn’t even like him and she keeps telling him that, but he keeps sending her notes, and now Simran saw it and is mad at Daughter and if the boy had just stayed away from her like Daughter told him to, then Simran wouldn’t be mad and they would still be friends. Shahrukh listens to the whole thing, and then wisely says “It sounds like Simran doesn’t have any reason to be mad at you. I am sure once she thinks about it, she will realize that. I bet by tomorrow night she will be on the phone with you all night just like before and this boy will be forgotten”. 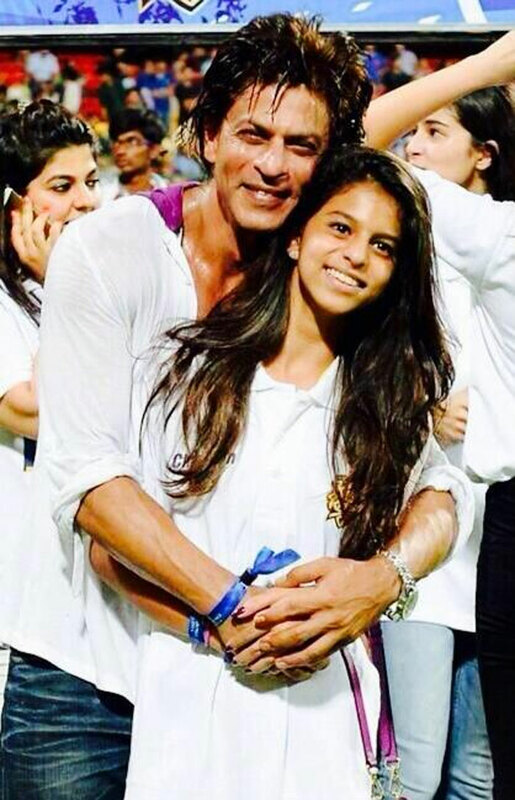 Daughter is all “Oh Papa, do you think so?” And Shahrukh is all “of course! How could anyone stay mad at you?” Daughter gives him the “oh Dad being so over the top” eye roll but is clearly happy and smiles and starts chattering about what her favorite teacher said in class that day. They get home and walk in together, Rani starts to ask Daughter what she is doing home early and Shahrukh kind of shakes his head. Once Daughter has flounced off to her bedroom, Shahrukh pulls Rani aside and asks “do we have the phone number for Simran’s parents? The girls had a fight, it sounds like we may need to talk about it.” Rani nods and is all “Simran’s Mom is on a committee with me, I’ll call her after dinner”. And then reminds him “Did you get the curd?” Shahrukh is all “Shoot, no!” and tells her don’t worry, he is going now, will be back before she can miss him. He runs down to the street and smiles when he sees Anjali at the corner, a tiny little girl selling matches to cars. And then his smile shifts as he sees a car suddenly speeding out of control and heading towards her. He starts to run, the film cuts between the speeding car and the unaware little girl smiling at the stars, we can see that he is just focused on getting to her in time, and finally in one huge movement he picks her up and physically throws her out of the way just as the car hits him at full force. And he looks over at her, sees that she is bloody and knocked out from having hit the sidewalk, but breathing. And he smiles and closes his eyes and dies. 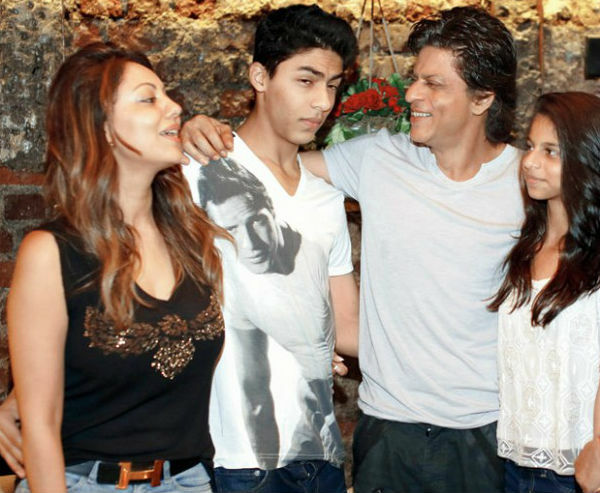 Shahrukh starts following his family around all day, with many humorous moments when he makes their lives easier. A breeze blows the door open for Rani when her arms are too full to push it. Daughter’s cafeteria food is cold and gross, Shahrukh magically heats it up for her. Small Son is daydreaming and looking out the window, the clouds break and send a little bit of sunlight to him. Farida is sitting at home bored flipping through channels, and suddenly her favorite film shows up on TV. But he can’t solve the real problem. At the lawyer’s office that afternoon, the lawyer is saying to Rani, once again, that he can only advise her to take this deal. He is offering them an enormous wrongful death settlement, and all he wants in return is for them to drop the police case and meet with him. But Rani is firm, she doesn’t need to look into the face of the man who killed her husband, and hear his reasons that he shouldn’t go to jail. He took away the only reason for living from 4 people, what could he possibly say to avoid punishment? Rani starts to leave the office, Shahrukh tries to follow her, but Boman appears and stops him and says “wait, you need to see this.” After Rani leaves, her lawyer (let’s say Jugal Hansraj, I like him in these small nice roles. And it would give us the idea of Rani hiring someone young and dedicated and cheap because they have so little money) picks up the phone and says “I’m sorry, she won’t meet with you. If you would only let me fully explain to her….” And then we jump to see the other side of the conversation, Shahid Kapoor in his office saying “No, I won’t do that. If she would just let me help her, if I could give her a check as an anonymous donor” and then he pauses and listens and the camera pulls back to show Shahrukh the Angel in the background listening too, and Shahid goes on “no, I understand your concerns. It’s all right”. And then he hangs up and sighs, and then smiles and looks up and we see that a little girl has come into the room! It’s Anjali! The tiny match seller begger girl whose life Shahrukh saved! She is saying “Daddy daddy! Look at my new dress that Grandma bought me!” Shahid looks up at Waheeda who is coming in behind her and says “Grandma, you have to stop spoiling her! She has enough dresses”. And Waheeda just smiles and says “My great-granddaughter is so sweet, nothing can spoil her! And anyway, I owe her everything we have for giving me back my grandson”. Shahid smiles back and says to her quietly so Anjali can’t hear “I just wish it hadn’t taken killing another woman’s son to make me finally grow up”. And then we pan up to see Shahrukh listening in to this whole thing and looking thoughtful. I am tempted to go through this entire film beat by beat, but I will restrain myself and just give the outline from here. Angel Shahrukh continues to watch Shahid as he reassures little Anjali that he won’t go to jail and leave her, and then helps elderly Waheeda to bed. And then Shahrukh acknowledges to Angel Supervisor Boman Irani that Shahid has changed, he is a good guy. And Shahrukh has faith that his wife Rani will forgive him and let him stay with his family who needs him if she just has a chance to meet him. Boman says that is exactly what Shahrukh was sent here to do, but he has to remember that Rani isn’t “his” wife anymore, he is just an Angel sent to help her, and Shahrukh is all “yeah yeah, sure”, but you can tell he isn’t really listening. Shahrukh uses his Angel Powers, and knowledge of Rani, to make sure she and Shahid meet. Thanks to Shahrukh, Shahid suddenly gets the idea to take Anjali shopping for a toy for her friend, at the same store where Rani has to go to buy soccer gear for Small Son. Shahrukh distracts Anjali away until she is lost and found by Rani, Shahid comes rushing up and is very thankful. He and Rani bond over how hard it is to be a single parent, and somehow it turns into him helping Rani carry home all the soccer gear up the stairs to their apartment and so on. Daughter is there when they arrive and is immediately protective and standoffish against this man who is hanging out with her mother. Farida likes him right away, because he is nice and charming. Small Son doesn’t seem to care one way or the other, just likes playing with Anjali. Shahid and Rani keep spending time together on various pretexts, he offers to coach Small Son for soccer, she offers to help take Waheeda to the doctor, and he offers to host Daughter’s birthday party at his big nice house so she can invite all of her friends. Love song goes tinkle tinkle in the background, they have many moments of hands touching and eyes meeting. Until they together reveal to Daughter the fabulous birthday party setting. And Daughter blows up and declares that her mother has forgotten what Papa taught them, that love is more important than money, she doesn’t WANT this big party, she just wants the small family party in their house like they had planned, with no “outsiders” (glare at Shahid) allowed. And then storms off. Rani is all upset and says good-bye to Shahid and rushes after Daughter. They finally have a heart to heart in the car, when Daughter says “you know, this is where Papa and I always had our best talks. He would drop everything to pick me up if I called, and then he would just drive around until I finally talked. He didn’t think I knew, but I figured out when I was ten years old that it took twice as long to get anywhere if he was driving than if anyone else was.” Rani says “I know I am not Papa, but do you think you can pretend I am and tell me what’s wrong?” Daughter starts to cry and explains “sometimes it feels like you’ve forgotten Papa. Especially when you are with Shahid. And if you can forget him, maybe that means I will too, and then it will be like he didn’t exist. And I don’t think I can live in a world without Papa. I don’t know how to do that.” Rani is crying too and pulls over the car and hugs Daughter and says “Don’t worry. I couldn’t life in a world without Papa either. I will never forget him, never. And I don’t need anything else, not Shahid or anyone. Just my memories of Papa. And you. And Small Son. And Farida. That’s all.” And pull back to reveal Shahrukh in the backseat smiling and crying as he listens. New part of the movie! They have the little family birthday party, with Angel Shahrukh standing in the background and joining in, and discovering that they can almost not quite hear him when he sings along with the “Happy Birthday”. And then for another little bit the family is all happy, with Shahrukh taking care of them using his new skill of almost being able to talk to them, whispering “softly softly” in Small Son’s ear so he doesn’t yell “PILL PILL” too loudly at Farida in the morning, whispering “you are wonderful” to Daughter when she feels stupid at school, and then constantly whispering “I love you” in Rani’s ear, which fades into a love song. Rani feeling as though he is always with her, romancing her, kissing her neck, etc. etc. Angel Shahrukh stays back and watches Daughter with Small Son, seeing the way she is ignoring her phone and her friends to keep him entertained, and looks thoughtful. Then hops back over to the coffee shop to see Rani and Shahid sitting together. Shahid is just kind of starring at her, Rani is all “what?” Shahid says, “I’m sorry, I just forgot how beautiful you are.” Rani can’t help smiling, and Shahid smiles back, then stops himself and says “I didn’t want to say that to you, I didn’t want to spend all the time with you or get to know Small Son, or even Daughter and Farida. There is just one thing I meant to say to you, I’ve been trying to say it for weeks: I’m sorry. I am so so sorry.” Rani is all confused, “what?” And finally Shahid has to tell her the whole story, “you know that I used to have a drug problem. After my parents died when I was in high school, I was lost and it took me years to find myself. I would be good for a while, somehow I managed to get through school and run the company, but then I would have a bad day, and suddenly it would all seem too hard to manage without help. I had a very bad day 18 months ago, a very very bad day at the end of a bad week. I don’t even remember the details, I just remember waking up in the hospital and my grandmother telling me I had killed a man, and almost killed a little girl who was still in the ICU.” Rani starts to put it together “it wasn’t… you didn’t….” Shahid starts talking faster, “I didn’t mean for it to happen this way! I just wanted to send you the money through the lawyer and explain that, because of my grandmother and Anjali, I couldn’t go to jail and ask you to drop the case. But then I met you in the store, and it never seemed to be the right time to tell, and besides I found that I was falling in love with you.” And Rani slaps him! She’s crying now, and bursts out “How dare you! How dare you love me! You took away the best part of me, the best part of all of us, and now you are making me feel….making me think….” And then she stops talking and storms out. That night, Shahrukh watches his family again as everything isn’t quite right. He notices that Daughter is taking on extra responsibilities, beyond what a teenage girl should feel. That Rani is constantly forcing herself to be happy, to smile. That Farida is a little overlooked, there’s no time or place for her with everyone else’s struggles. And that Small Son sometimes seems a little lonely in this household of women. He goes over to Shahid’s house just in time to catch him putting Little Anjali to bed and Little Anjali asking if Rani and Small Son and Daughter would be coming over again any time soon. Shahid says no, he doesn’t think so, but she has him, and isn’t that enough? Little Anjali sighs and says he is wonderful, but she always thought it would be nice to have a mother, and maybe a little brother and a big sister too. She thought maybe they could all be a family together. Shahid doesn’t know what to say to this, so he just kisses her goodnight and leaves. And then stands in the hallway and looks at photos of Rani and the kids on his phone and sighs “I thought we could be a family too”. Angel Shahrukh is watching looking thoughtful. Back on earth, Shahid is asleep in the couch in his office (sad empty life image). And Shahrukh appears to him, Shahid opens his eyes and asks “am I dreaming?” Shahrukh says, “yes, you are, but what you are seeing is real. I am Shahrukh, the man you killed, and I am here to ask you to take care of my family. If you feel you owe me anything, then pay your debt, keep them happy and safe and loved because I cannot, not any more.” Shahid sits up, saying “I want nothing more in this world, but they don’t want me. Not really.” Shahrukh pauses a moment so we can see how hard this is for him to say, and then manages to get out “they do want you. All of them. Rani most of all. But the one who needs you the most is Daughter. She is trying to take my place, she is growing up before her time. Help her to be a child again, that’s all she needs.” And then Shahrukh flickers out of existence. The next day Daughter is walking in to school from the bus and suddenly Shahid calls her name. She’s all angry, asking him what he is doing there, but then stops herself when she sees Little Anjali is there too looking all innocent and not understanding why they are yelling. Shahid casually says that he is taking Little Anjali out of school for a day of fun at the water park, and Anjali asked if she could invite her friend, Daughter. Daughter is hesitant, and Shahid shamelessly layers on the guilt, points out that this is all Anjali wanted, she has been looking forward to it, she was sure that Daughter would not say no, and if she does, Anjali will know it is because Daughter doesn’t like her. Anjali’s lower lip starts to wobble, so Daughter gives in and agrees to come. At the water park, Shahid arranges for Daughter to go on all the rides with Anjali and, after at first resisting, Daughter can’t help but enjoy herself, smiling and screaming and having fun, just like she should. And then she and Anjali are jokingly teasing Shahid and begging for ice cream, and all of a sudden Daughter stops smiling and goes quiet. Shahid looks at her, and then sends Anjali away to look at the petting zoo while he and Daughter watch her and talk for a moment. Shahid says “I lost my parents when I was just a little older than you. And I lost my joy at the same time. Any time I was happy, I would feel bad about it later, like somehow I was letting them down by being happy. But you can’t live like that, without joy. So I found it in other ways, I turned to things that would mask my pain, let me forget completely for a while. And that was even worse.” Daughter is looking at him now, clearly listening, and says, “You shouldn’t have done that. You should have just accepted that the world is a serious place and you need to be serious in it.” Shahid shakes his head, “No, that was wrong. I tried that, and it was worst of all. I was making myself sick. And then I realized, my parents wouldn’t want this. They always wanted the best for me, wanted me to enjoy life and do what I wanted. By living my life joyfully, I was honoring their memory in the best way possible.” Daughter is clearly really listening now. Shahid continues, looking seriously at her so he knows she will remember what he is saying, “It’s okay to be sad sometimes, it’s okay to miss people. But it’s also okay to let yourself be happy, to live your life for yourself, not for others. I know your father loved you a lot, and I know where ever he is now, what he wants most of all is for you to be happy.” Daughter starts to cry a little, Anjali comes over and asks “What’s wrong?” Shahid gives Daughter a hug from one side and Anjali from the other and says “we are both just missing someone right now.” Anjali nods seriously and says “You mean Daughter’s father? My Angel?” And then she turns to Daughter and says “Don’t worry, I know he is in heaven watching us. Grandmother told me, he is my guardian Angel because he saved my life and he will be there watching over me, and you, and everyone else forever and ever.” Daughter manages a smile at this, and the camera pulls back to reveal Angel Shahrukh listening as well and doing that “trying to smile through the tears” thing. Song montage! Shahid takes Daughter back home that night, and she walks in and immediately hugs Rani and starts crying, Rani looks at Shahid over her shoulder all “what happened?” and Shahid gives her a little “I’ll explain later, it’s good” eyes and starts to leave, but Daughter runs after him and drags him back. There is a family dinner that starts out awkward, but then Anjali and Small Son make everyone laugh and things loosen up and it seems like it might be okay after all. And when Shahid leaves, carrying sleeping Anjali in his arms, Rani holds the door for him and they touch as he brushes past, and TINGLES. Time passes, Shahid shows up at Small Son’s soccer game again, Daughter drags Rani over to talk to him, then goes off with her friends. Rani and Shahid talk and walk and drink coffee. And finally at the end of the song, in the middle of another family dinner, Shahid asks everyone to be quiet for a moment. And he says “Rani, I want you to know something. I love your son. And I love your daughter. And I love your mother-in-law and your little apartment and your broken fridge and your wobbly table. And I love your husband, wherever he is, because he was the father of these wonderful children and the son of this wonderful mother. And most of all, I love you. Please please be my wife.” The kids are all “say yes say yes!!! !” Rani looks at Farida, who kind of smiles and softly agrees “Say yes daughter.” And then Angel Shahrukh flickers into existence one last time and whispers in her ear “say yes”. And Rani finally smiles a big smile and says “Yes!” As Shahid is reaching for her and the kids and jumping around, Shahrukh steps back and looks at them all and says one last time to each of them “you are beautiful and smart and I love you”, “you are handsome and smart and I love you”, “you aren’t very smart but you are the most beautiful of all and I love you”, and finally he bends down to take a blessing from Farida. No one else hears him, even Rani, they are too caught up in their joy, but Farida has a shadow on her face for just a moment as she feels his touch, and looks away from the others, before forcing a smile and turning back. And slowly Shahrukh turns away, towards Boman Irani who has flickered in to being, and asks him “Are you ready to move on to your next mission?” And Shahrukh silently nods and walks away, fading out as the happy scene stays behind him. Phew! That was VERY VERY LONG!!!!! Oh well, an early Christmas present for you. Wife/Widow: I want someone who can actually carry half the picture. So, Rani? Or Kajol? I would say Anushka or Dips, but they are too young. Shahid/Second Husband: I wanted someone a little younger seeming than Rani, but also with great chemistry. But then maybe Abhishek would also work? or Akshay? Or Ranbir even? Angel Supervisor: Boman Irani and Shahrukh have great chemistry, but I am also tempted by Anupam Kher. Or heck, even Amitabh! Any changes you would make to the plot? Any additions? Any other ideas for Angel Shahrukh? Should it be a series with him changing people’s lives through different stories? 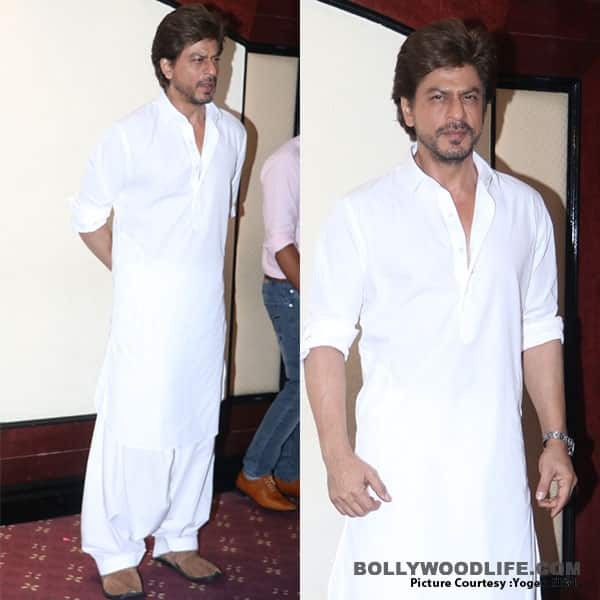 This entry was posted in Shahrukh, Uncategorized and tagged Angel, Fanfic, Rani Mukherjee, Shahid Kapoor, Shahrukh, Shahrukh Khan, Silly Sunday, Sunday Speculative Posts, Uncategorized by mredlich21. Bookmark the permalink. As you know I’m not the biggest fan of fan fiction but this one made me cry ( cue mean editor from JTHJ who saupys to Anushka after she sees “The man who cannot die” video, “dammit you made the b——cry”). Please keep the casting as originally stated. Shahid is older now and fits this role. Rani has always made even more sense as Shah Rukh’s wife than Kajol. I so wish they’d do a mature love story together. Send this script!! It made me cry too! I forgot about it from last year and I was reading it fresh before I posted it, and got all teary.